Advertising Business. Online National Global Marketing. Advanced Advertising Across Global Business (AAAGB) works hard to ensure the visibility of your Company as World Class Company. 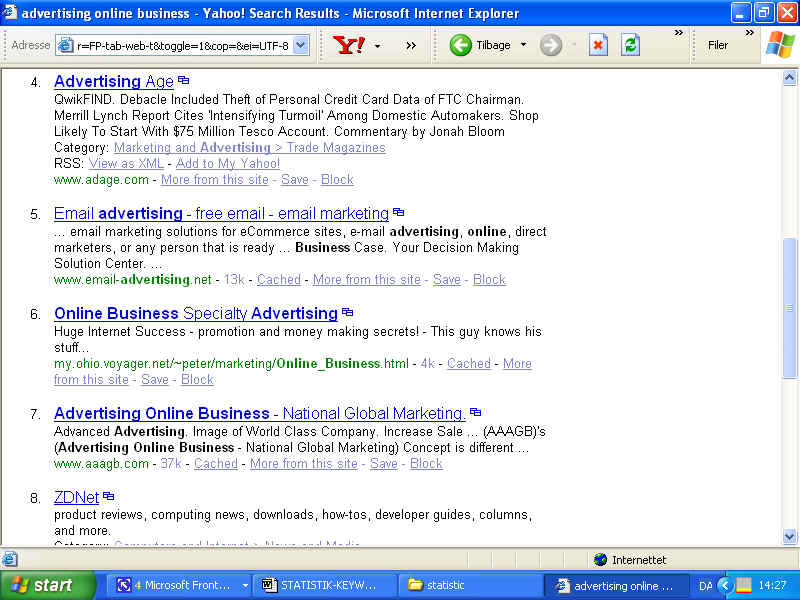 To achieve this goal, AAAGB is striving to be on TOP of the Advertising Online Business. Advertising is essential to successfully promote your own Business. With AAAGB, you expose your Company to the both the National and Global Marketing, Increase Sale, Import and Export. Use AAAGB’s Online Advertising Business to your own Strategic Advantage. 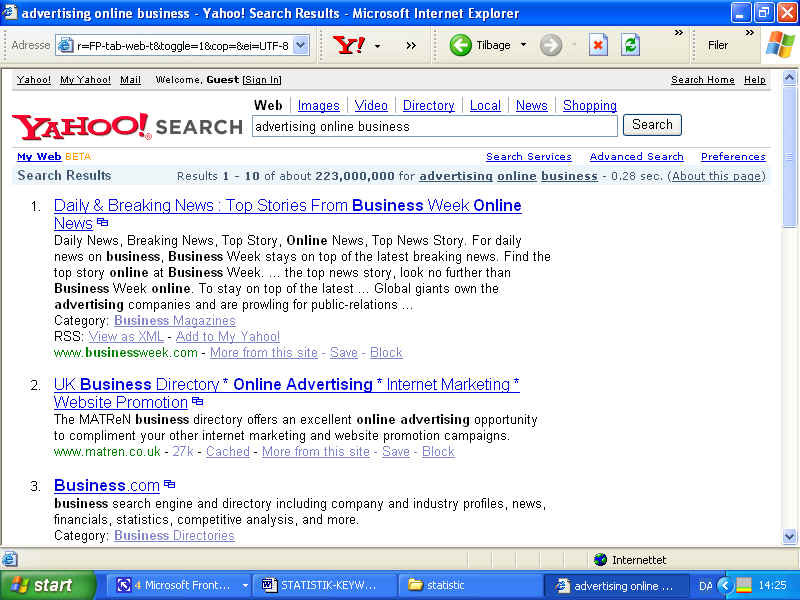 Of the billions of web pages in the Internet, estimated search results by YAHOO! * of Advertising Online Business increased dramatically from about 62.400.000 in November 2004 to about 223.000.000 in December 2005. An increase of about: 3.6 times! Can you afford not to be on Top of these 223.000.000?